There are various international team events held each year, both online and face-to-face. 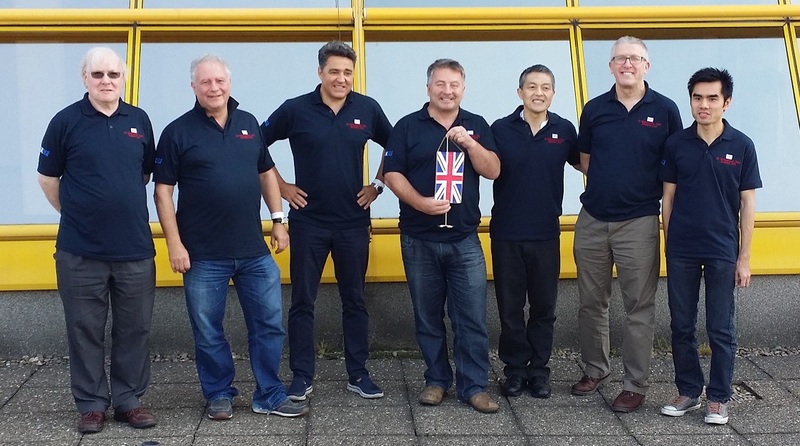 The UKBGF organises a formal team for those events which accept one team per country, and acts as a coordinator assembling as many teams as practicable for those who take multiple entries. A Captain is appointed every two years to oversee team selection, both before the event and, in the case of the European team Championships where each individual fixture involves selecting players from a squad, on the day. Our current Captain is Tim Cross. Played in September, one team of 7 per country, 4 play each fixture. Played in March, multiple teams of 4 per country. Played in April-May, multiple teams of 5 per country. Played annually on GridGammon starting in the summer, one team of 5 per country. This tournament is triple-elimination, with a round-robin style final should three teams end up as the last standing.